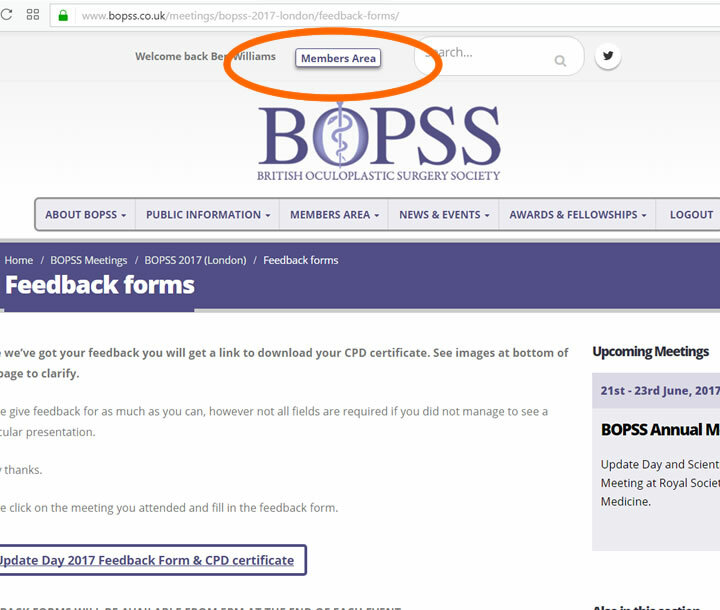 Once we’ve got your feedback you will get a link to download your CPD certificate. See images at bottom of this page to clarify. Please give feedback for as much as you can, however not all fields are required if you did not manage to see a particular presentation. 1. 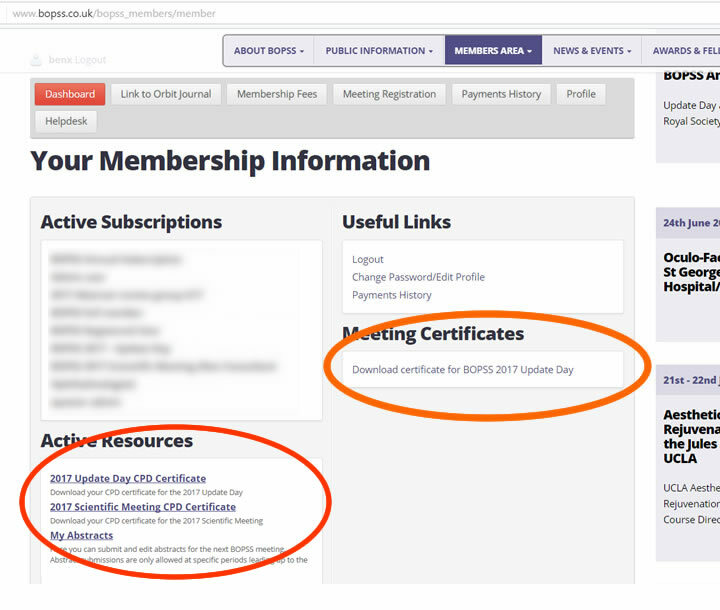 Login (or click on “Members Area” in the header) to go to the general members area (see image 1), then click on “Dashboard” and the links will be on the right hand side in the area labelled “Meeting Certificates” (see image 2). These links will stay there until the end of the year.